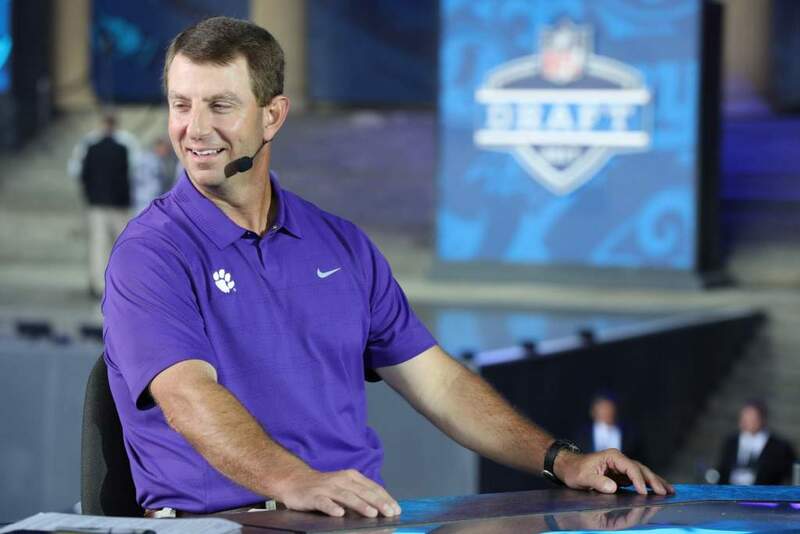 Clemson, S.C.–Clemson quarterback Deshaun Watson had another sterling afternoon in the victory over NC State and was named the National Offensive Player of the Week by the Walter Camp Foundation on Sunday. The sophomore quarterback completed 23-30 passes for 383 yards and five touchdowns. He also ran the ball 14 times for 54 net yards and a touchdown. 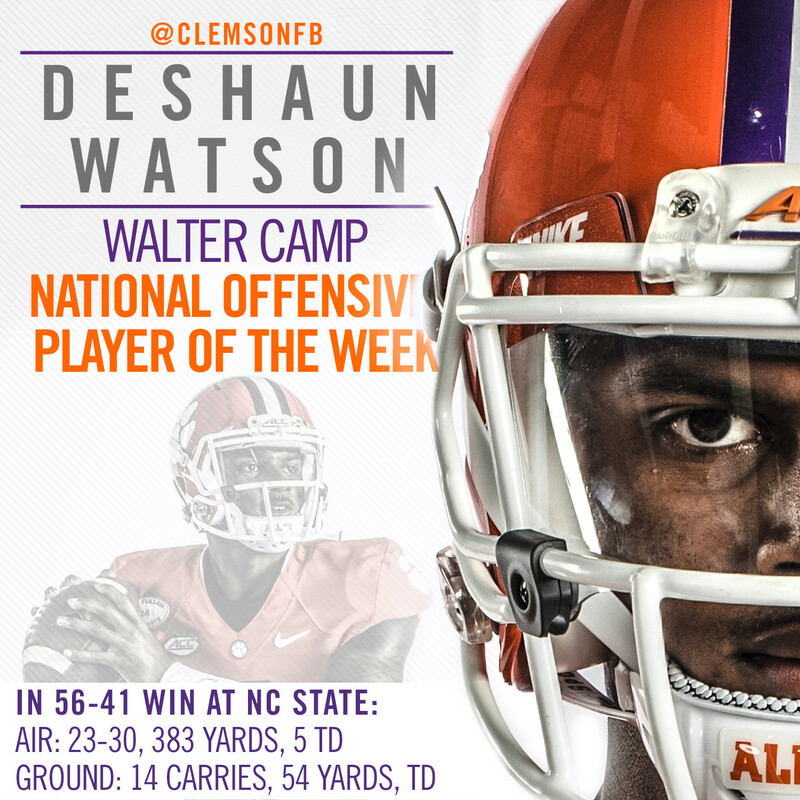 Watson is the first Clemson player to be honored with a National Player of the Week honor by the Walter Camp Foundation since 2012 when Tajh Boyd won the award for his performance against NC State.